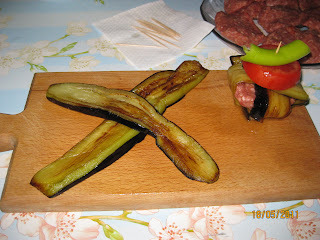 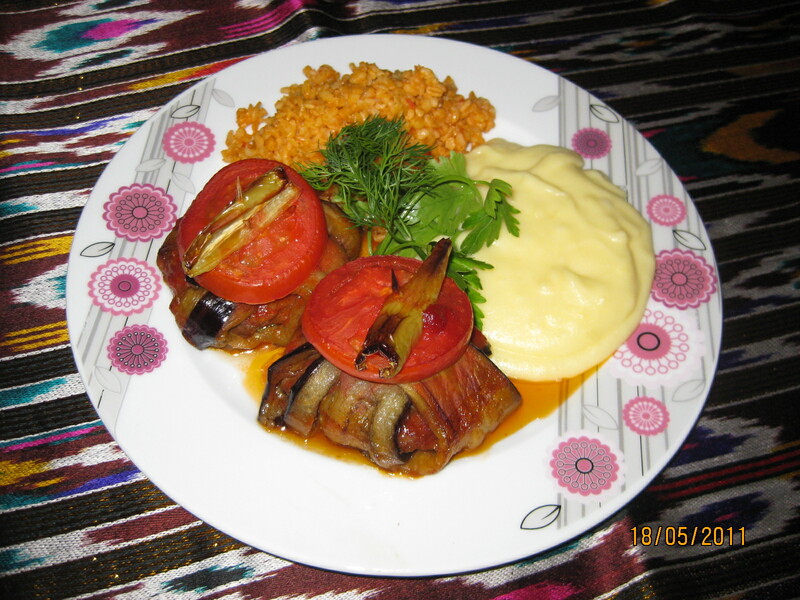 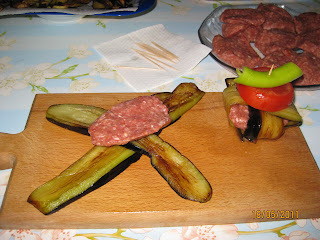 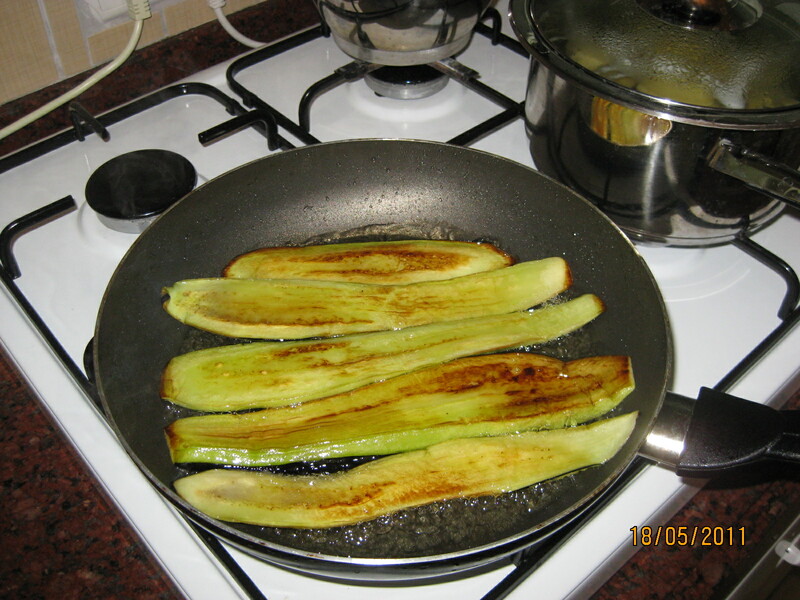 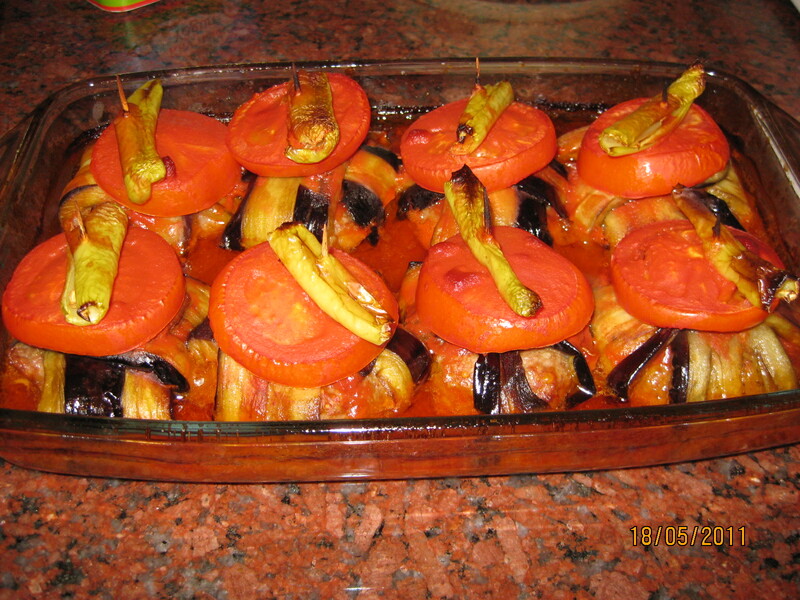 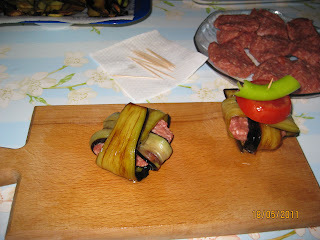 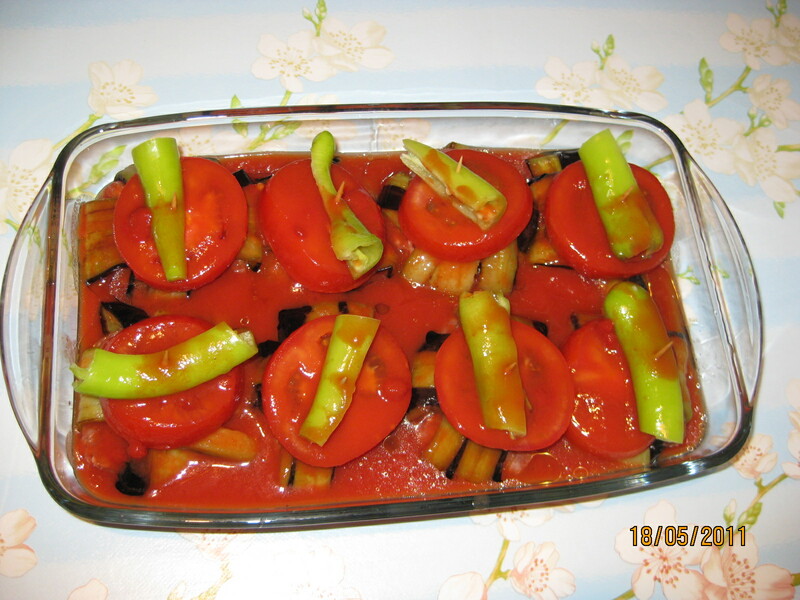 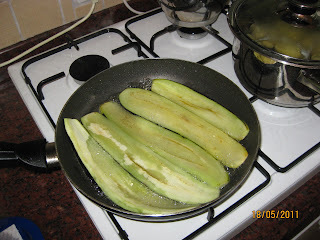 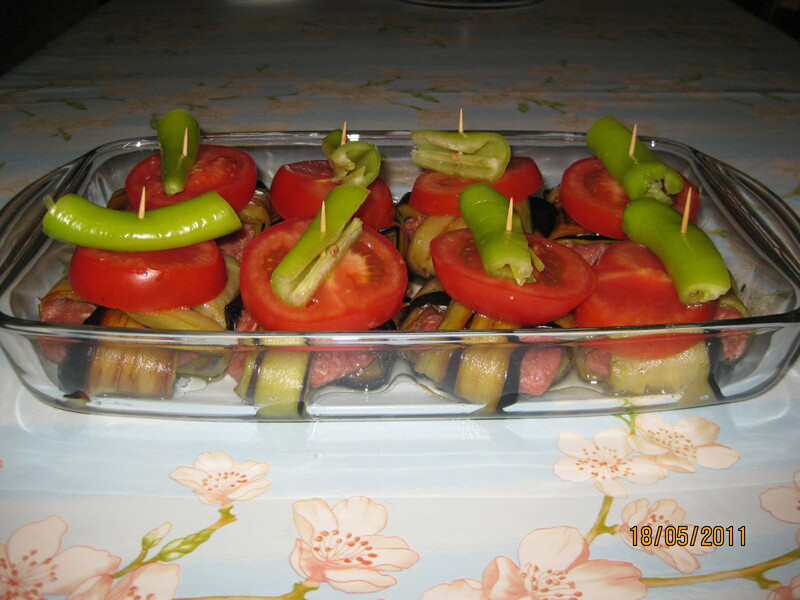 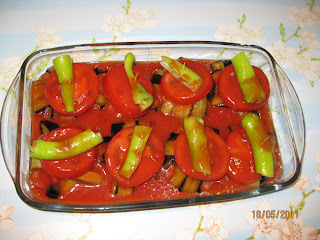 In Turkey, there are many dish recipes from eggplant. 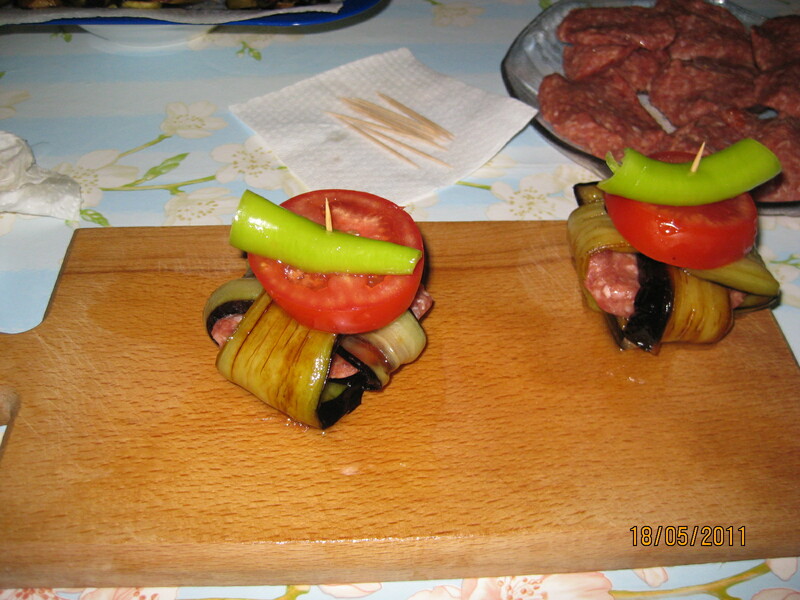 This one is popular, because of short cooking time and taste. 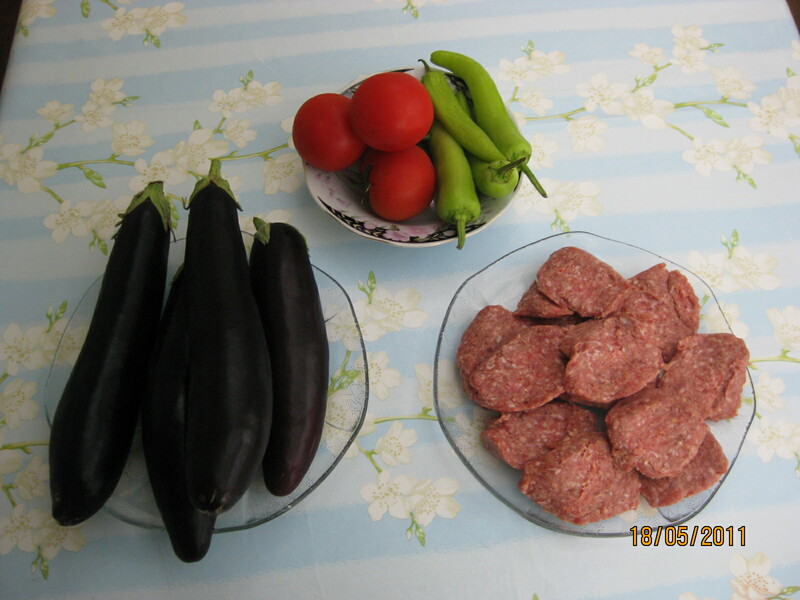 You'll need 3-4 eggplants, 4 sweet peppers, 4 tomatoes, meat balls, salt & tomato's juice. Baking time in the oven 20-25.